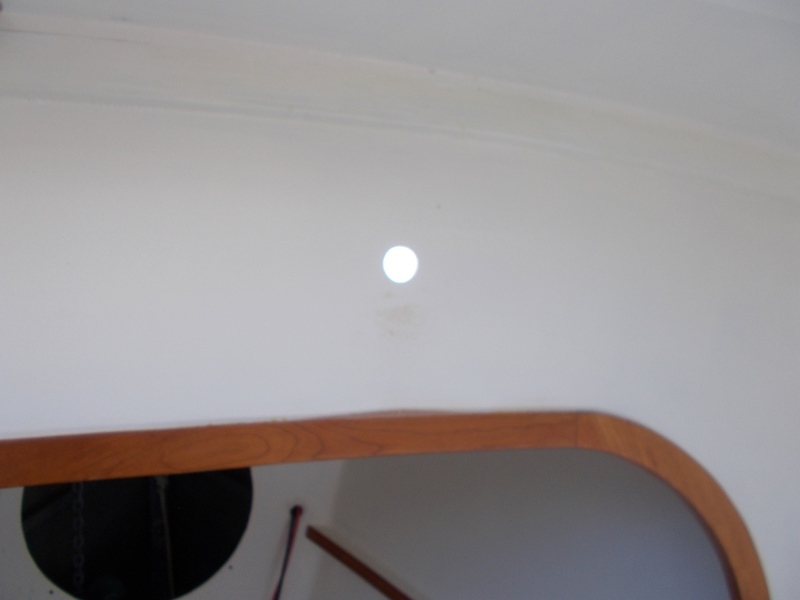 It is definitely, let us say, a sinking feeling when you think you are drilling a 1 1/4-inch hole through an interior bulkhead, but the hole saw breaks through and daylight comes streaming into the boat. That means it wasn’t an interior bulkhead at all, but that the Tardis temporarily had a very small porthole in the front of the cabin house. 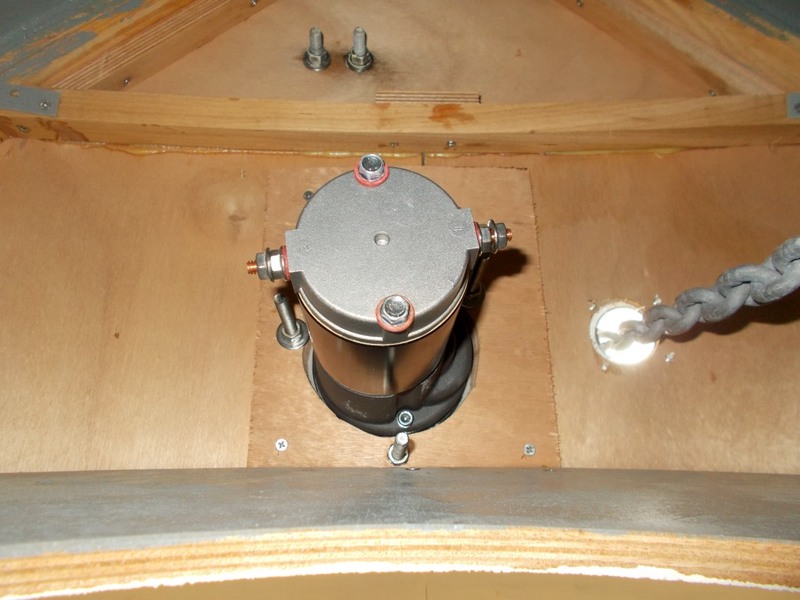 I was near the end of a very complicated installation of a windlass for Tardis’s anchor. It was all pretty straightforward, but between the installation of the windlass itself requiring beefing up the deck, big holes in said beefed-up deck, and wiring a solenoid, huge circuit breaker, power lines, plus fixed and remote controls to make everything go, the job became a multi-day marathon in hot, sticky weather. My goal on the whole anchor setup been to keep myself off the foredeck and out of drowning range as much as possible when single-handing. At something like 5,000 pounds fully loaded boat weight, even with my 25-lb. super-safe Delta anchor, I probably don’t need a windlass at all. But experience in Florida showed it was a pretty decent pull for a 67-year-old and a long time huffing and puffing on the foredeck. 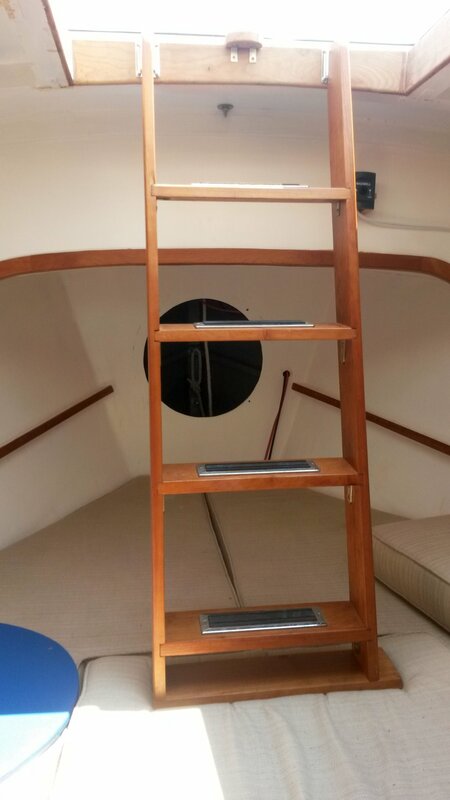 So I planned to mount the up/down switch on the bulkhead just in front of the ladder going to the foredeck, so I could stand there in the boat and begin anchoring operations, then climb out with a remote control for the final steps either lowering or raising. 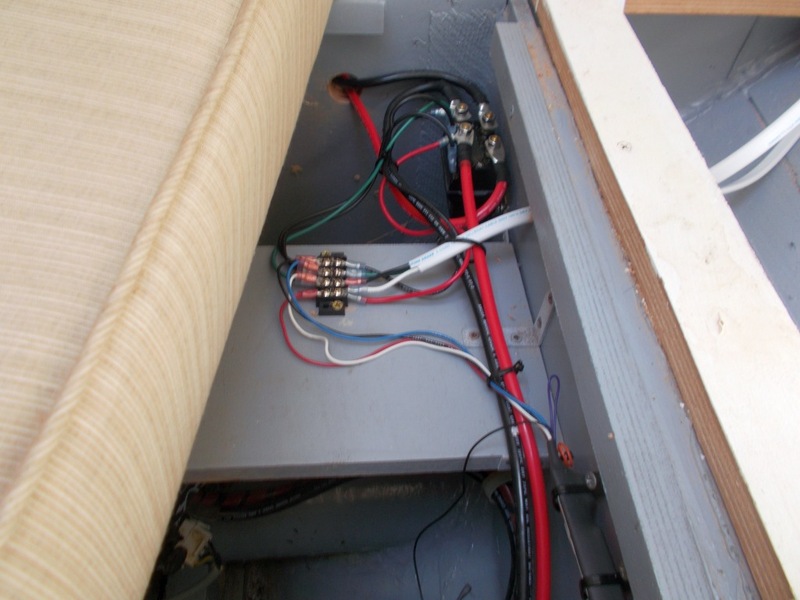 The hole was for the switch installation, which turned from a flush mount to a surface mount rather quickly when I realized flush-mounting put that big hole through the front of the boat. But with that fiasco patched up, I finished everything as planned and the Maxwell RS-6 seems to be performing as advertised. 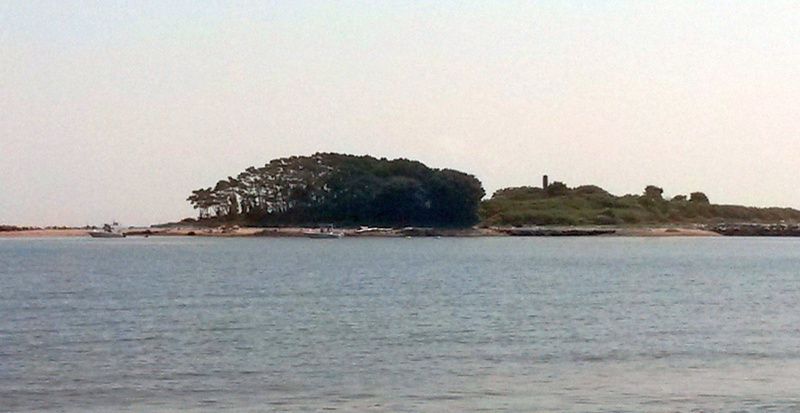 On Monday, the one day of decent weather this week, I took the Tardis over to Duck Island near Westport, CT, a really nice anchorage that is full of drunks and jet skis all weekend, but a quiet paradise during the week. Anchor practice went perfectly. The good thing is that I can move very quickly on the foredeck either getting ready to lower or squaring away after the anchor is up, since the anchor balances almost perfectly on the roller and a little shove gets it going, or a small tug gets it to sit until I can put a safety line on. 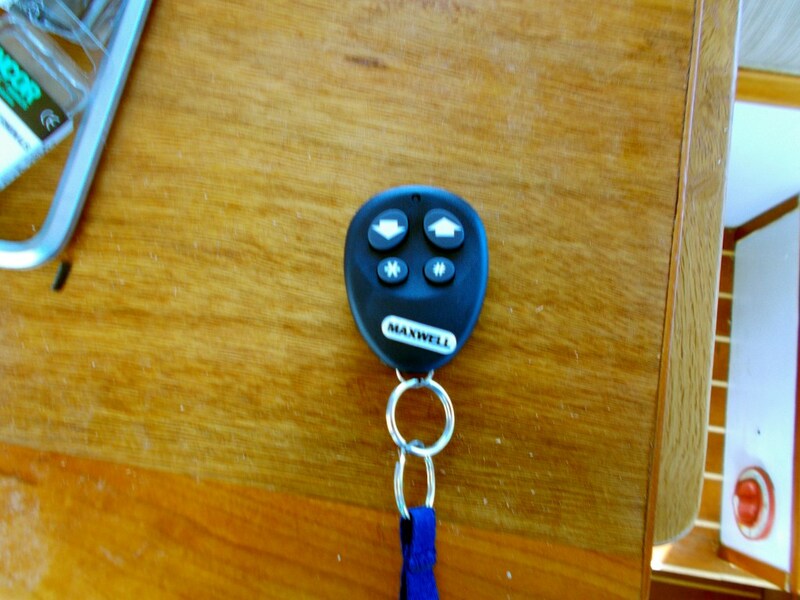 That means I will never have to bring the anchor all the way up on deck using the windlass. On Memsahib, there was no way even John could manhandle the 45-lb anchor all the way up and we’d have to use the windlass to smash it up into the bow roller, which is very hard on the windlass axel and clutch. 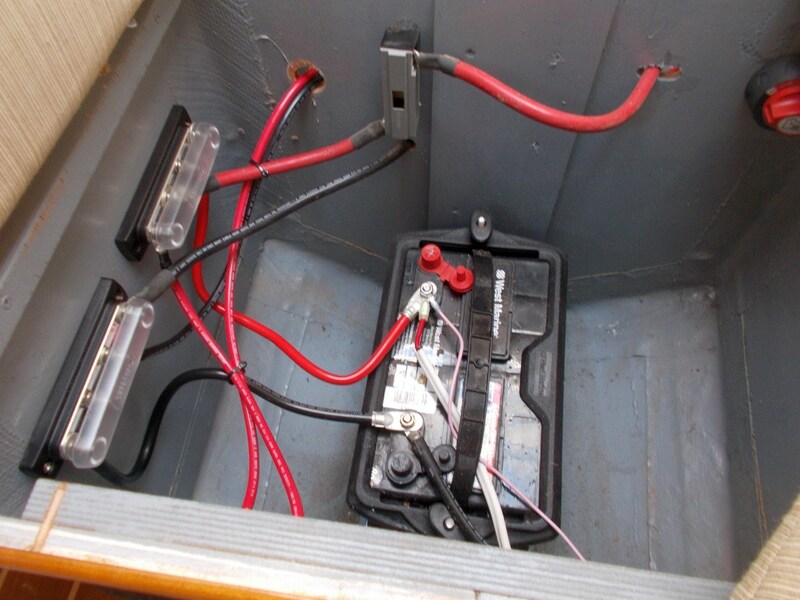 Here’s a tip on anchor setup for New England waters that I got years ago from Soundings Magazine. 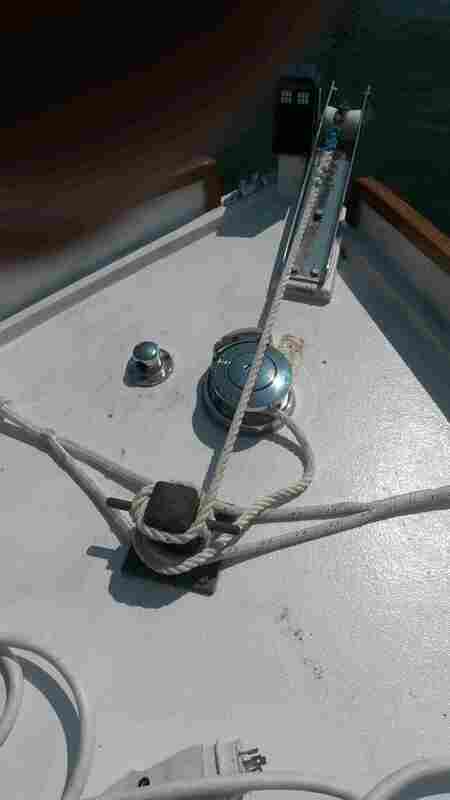 All-chain rode like we used on Memsahib is very safe, but very heavy and requires some sort of snubber arrangement to keep the boat from jerking about all night. All-rope road with a light chain leader works, but you need to put out so much scope that you dance around all over the anchorage. 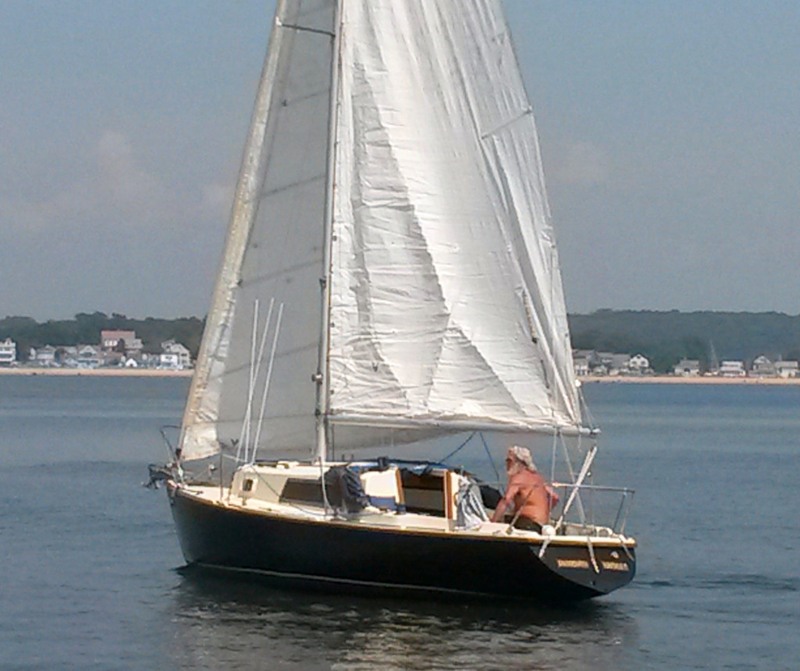 Soundings said: “Look, in New England you are usually going to be anchoring in something like 6-20 feet of water. Use a 50-foot chain leader, and in shallow water just put it out until its is just over the roller so the nylon rode itself become the snubber. It deep water use whatever scope is appropriate, but you still have a lot of chain on the bottom.” I have used this system and it really works. New ladder setup. Windlass control is to the right — where the hole used to be. This wonderful and perceptive person sailed over to Tardis at Duck Island to comment on what a beautiful boat she is. 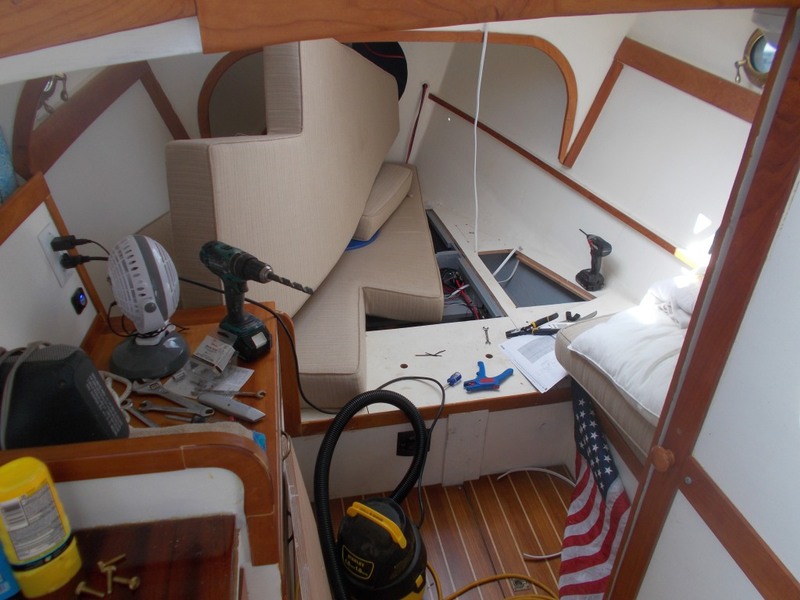 Very interesting how you installed windlass on your boat. Great tip about anchoring in new England water. How long it took to complete this installation?